Retro home decor styles are perfect for people who are cheerful and optimistic, and like exciting bold colors and interesting textures. Retro styles bring retro furniture and decor accessories in bright colors, offering joyful room decorating ideas and unusual color tones or textures combinations. Retro furniture and decorative accessories in 50s, 60s and 70s styles celebrate the freedom of experimenting and adding striking designs to room decorating ideas. Retro home decor styles reflect the fun and free spirit of 50s, 60s and 70s. 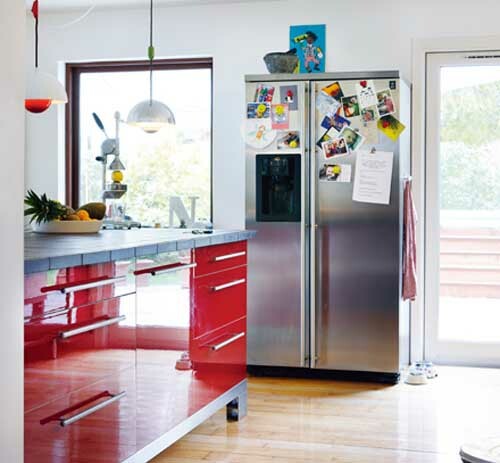 Modern room decorating ideas in any of retro styles are about bright color tones, which are not suitable for everyone. Room decorating with striking color shades, stunning designs, unusual retro furniture and decorative accessories require some courage and a sense of style, but the result is outstanding and rewarding. Retro home decor ideas from Scandinavian experts look gorgeous, bringing retro furniture and decorative accessories in bright olors and creating unexpected color combinations. Room decorating ideas in retro styles look unique and cheerful. 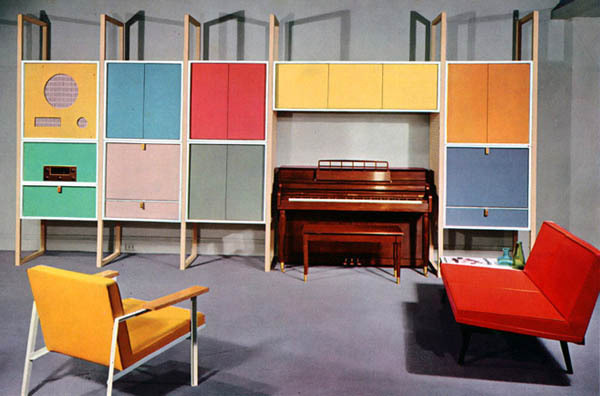 Home decor in 50s, 60s and 70s styles that is energetic and adventurous is not for conservative people. In the 1970’s disco and night clubs became the inspirations for bold room decorating ideas that celebrate fun, dancing and music after work. 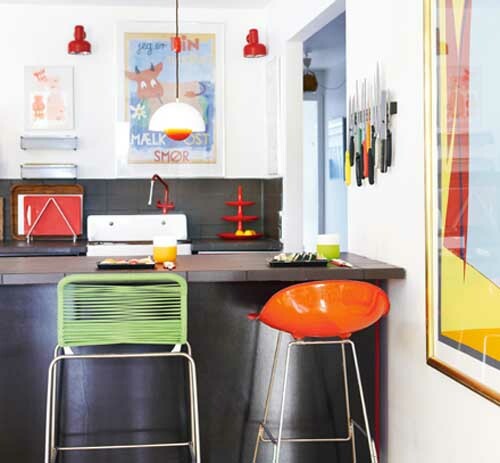 Bright colors are an important element of retro home decor in 70s style. Room decorating ideas in retro styles include interesting wall designs in two-color schemes. Any two tones of one color create remarkably beautiful wall designs in 70s style also. Two monochromatic color tones, combined with beige and brown colors, look retro and modern. Abstract and polka dot patterns, geometric and floral designs are popular choices for room decorating in 70s style. Floor decor in retro style looks very stylish in monochromatic colors. Soft floor carpets and rugs add warmth to retro decor and look especially beautiful in bedrooms. Bright lighting designs, made of plastic and glass, colorful mirrors and glass decorative accessories in 70s style make room decorating festive and airy, bringing more reflected light into home interiors. A mirrored disco ball creates a beautiful play of reflections, adding more light into the room, filling the room with the atmosphere of 70s and increasing the effect that retro furniture and decorative accessories create.